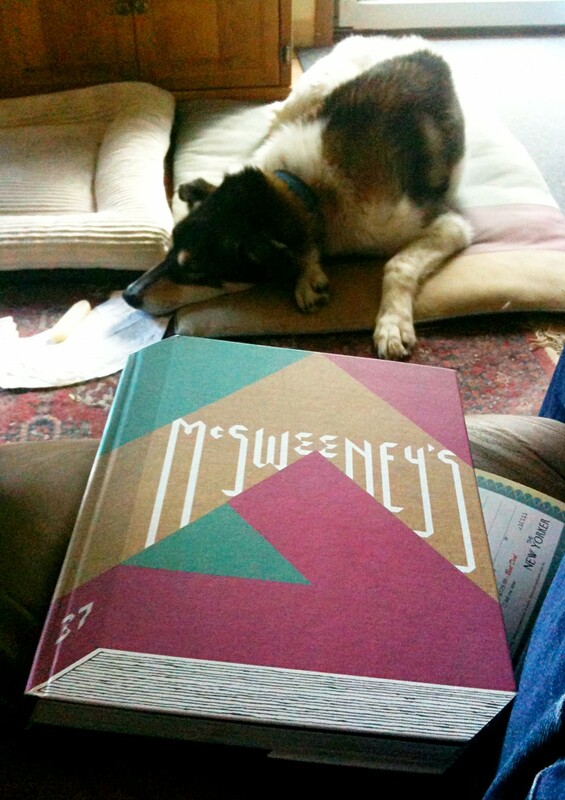 I took some time out from David Foster Wallace’s The Pale King to read the latest McSweeney’s Quarterly Concern, Issue 37, packaged as a hardcover book which has been decorated and trimmed to give the illusion of, yep, a hardcover book. Leave it to McSweeney’s to produce yet another cool, well-produced (sewn binding, actual cloth cover) object containing some great writing. Favorites in this issue include Jess Walter’s Statistical Abstract for My Hometown, Spokane, Washington, John Hyduk’s great story (essay?) about being unemployed (which has the great image of a warehouse building at night: “It’s dark and raining, but the building glows like a birthday cake”), and Joe Meno’s Lion’s Jaws. I didn’t really get into the five stories from Kenya, but I guess they were interesting from the standpoint of reading within a totally different place and culture.